Aunty Disco Project has been one of my favourite bands. ADP has gained a lot of fame in Karachi recently. One of the reasons of their fame is Darbuka madness that Yasir Quershi makes. Vocalist of Aunty Disco (Imran Lodhi) has come up with his own personal project and releasing his album soon. I have uploaded 6 of his songs. I do recommend them 🙂 ADP rocks..
Abbas Premjee’s Jhoom deewane from his album elements has been added to the library today. We are working on the complete album, hope to get that soon for you guys. As i started this site 3 months back (initialy on free servers), i thought to take a start with classics. I came up with discographies including Junoon (see also: Salman Ahmed, Ali Azmat), Nazia Hassan, Alamgir, Nusrat Fateh Ali Khan, Muhammad Ali Shehki, Vital Signs (see also: Junaid Jamshed, Rohail Hyatt) and the debut album of Strings. 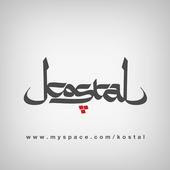 Kostal is Hip Hop/R&B project by Omran Shafique (aka Momo) of Mauj. Omran says band is mixture of R&B with desi beats, french raps, arabic(rai). He started this project back there at Texas.